Cocos Island and its islets were declared “National Park” on June 22, 1978, by Executive Decree No. 8748-A-MAG and published in the Official Gazette No. 129. The creation of this national park took place under the administration of former president Rodrigo Carazo Odio (Moreno-Díaz, 2015), and it was ratified by Law N° 6794 in 1982. The CINP was created with the purpose of preserving the natural state of the island (Executive Decree N° 8748-A-MAG), and its specific objectives are: i) To protect the great flow and diversity of marine fauna in the surroundings of Cocos Island, which is being over-exploited, jeopardizing endangered species such as hammerhead sharks and other species; and ii) To mitigate the negative impact of illegal fishing on marine resources protected by the island. 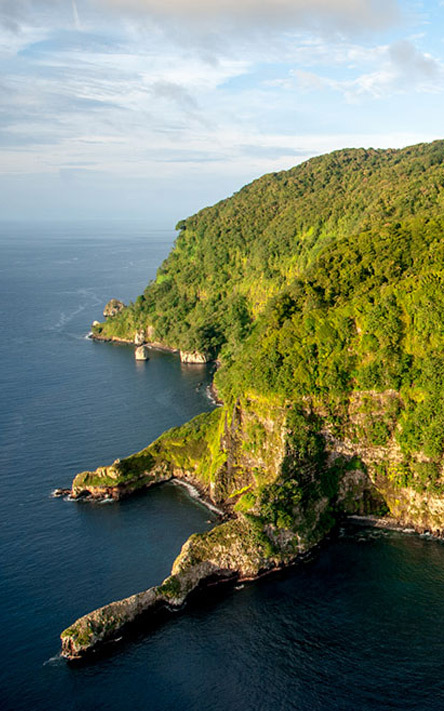 Cocos Island is located in the Costa Rican Pacific Ocean, between geographic coordinates of 5° 32′ latitude North and 87° 04′ longitude West, at a distance of 500 kilometers from the Costa Rican coast. The total area of CINP is 203,483 hectares (2,034 km2). 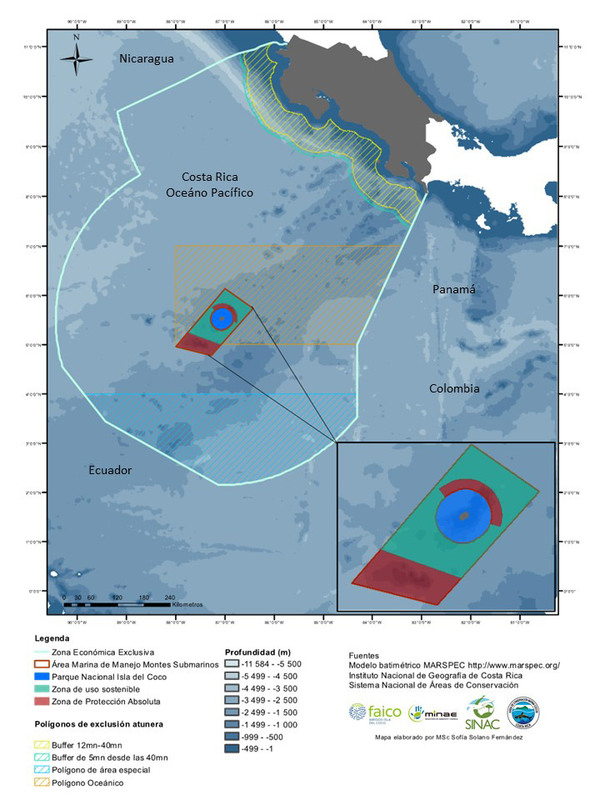 The land measures 2,330 hectares (23.30 km2), and the marine area corresponds to 12 nautical miles (201,153 ha or 2,011 km2). The Cocos Island district was created in 1970, and it is currently the 10th district of the canton of Puntarenas (IGN, 2009). The island does not have native inhabitants, but it does have ACMC officials, researchers, volunteers, and tourists. This protected area is under the administration of the Cocos Marine Conservation Area (ACMC) of the National System of Conservation Areas (SINAC), an entity of the Ministry of Environment and Energy (MINAE).